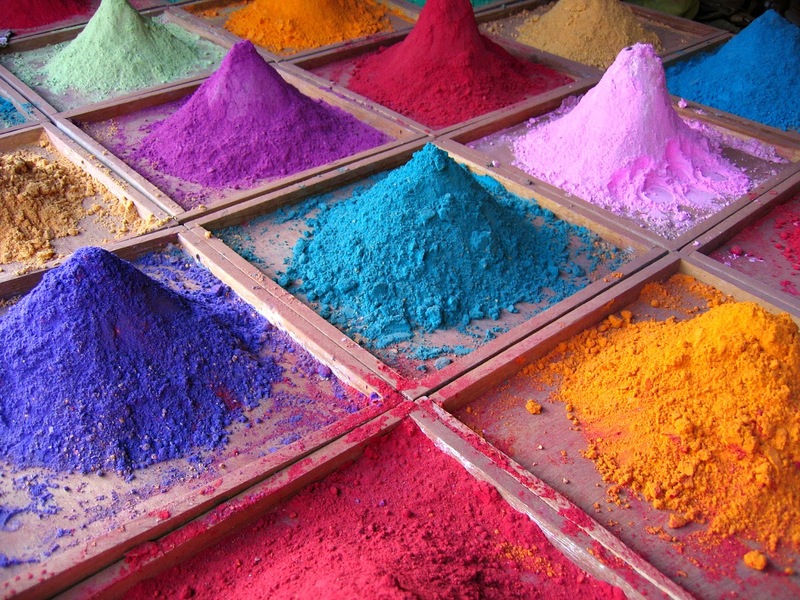 Pigments are small particles used to color and tint materials such as paint, cosmetics or textiles. They can be created from organic materials, such as minerals like iron oxides. These were some of the first pigments used in the earliest cave paintings, and they are still used today. Pigments are also now synthetically made to give us more brilliant colors, like Prussian blue, which was discovered by accident in 1704. The industrial revolution brought about many more developments in synthetic pigments, for both manufacturing and art. There are too many wonderful stories about the history of pigments for me to write about here, but if you're interested, I have listed books about them below. Pigments are usually chosen for their high tinting strength relative to the material they are coloring. Pigments differ from dyes in that they are insoluble in the vehicle they are coloring, whereas dyes are soluble, or they dissolve in the vehicle. For art and many commercial applications such as fabric coloration and car manufacturing, it is ideal for pigments to be permanent. Pigments that are not permanent are called fugitive. In paint-making, pigments are combined with a binder and a vehicle to create a medium. Before the invention of paint tubes, artists used to always make their own paint, purchasing pigments and supplies from local alchemists. These days, pigments can be purchased individually for artists that want to make their own paint or pastels, at the sellers listed below. "From prehistory through to the present, paint has been defined simply as pigment -- a range of colors in a finely powdered state (from inorganic, natural organic, and synthetic sources) -- in conjunction with a binding medium (such as wax, egg, casein, oil, acrylic resin, or gum arabic) to hold the pigment and fix it to a support. The binding media affect the paints' handling and provide diverse effects. For instance, oil, acylic, and wax bring out the depth and intensity of the pigments, imparting them with a different color quality than they have in the dry state, whereas casein and gum arabic have little visual effect on the pigment colors." pg. 102, Krug. Pigments are identified on tubes of paint or individual pastels by their ID numbers, such as PO: 21. The "P" meaning Pigment, the "O" meaning Orange and the 21 is the number of the pigment in the international database. 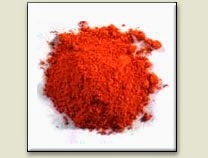 PO21 is Chrome Orange, which can be used on it's own to make a single pigment paint or it can be combined with other pigments to form variations on the hue. There are so many fine art resources to find out more technical information about pigments and how they are used in paint and pastel making; I've listed many below, but feel free to share other links in the comments for me to add. Krug, Margaret. An Artist's Handbook: Materials and Techniques. Laurence King Publishing, London. 2007. One of the most frequently asked questions we get, both nationally and internationally is "Where can I buy these?" Well, the answer is here: Artist Brushstrokes. You can find a lot of our brushes in retailers across the United States and Canada, in Europe and Australia, both in brick and mortar stores and online. The full listing is in this blog post: Where to Buy. However, sometimes, you just want to glance through the full line and pick and choose which brushes you need. F.M. Brush doesn't sell directly to the artist, but shopping through Artist Brushstrokes is a close second as they carry almost the full line of Dynasty brushes and a huge selection of shapes and sizes. Recently, they updated their website and have a beautiful new storefront for your perusal, making it easy to see the full line and select what you need. Some of the side benefits of the new site are paying with Amazon or Paypal, gift registry and wishlist, ease of shipping with UPS, FedEx or USPS, free shipping on orders over $75 AND. . . they ship globally!!! So, if you're wondering where to purchase Dynasty Brushes, Artist Brushstrokes is a great place to look. 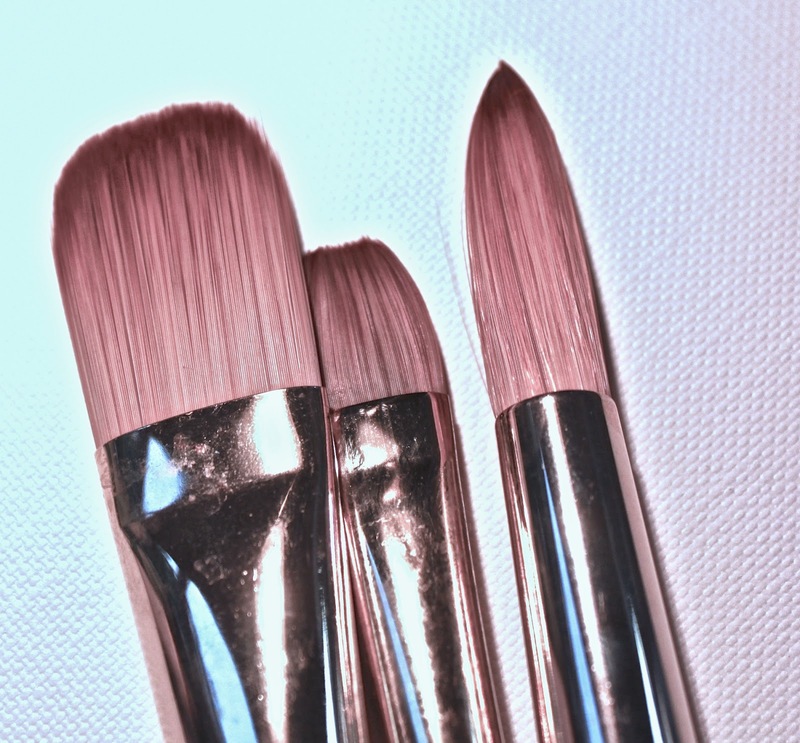 Take a peek and let us know what you're painting with our brushes!